Granite High School in Salt Lake City, Utah, between 1954 and 1985. 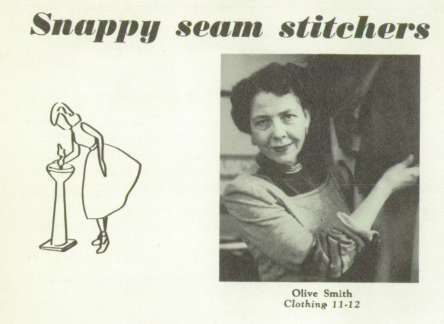 Mrs. Smith specialized in tailoring and her students continually won the Utah Wool Growers tailoring contests for their supremely tailored wool suits. 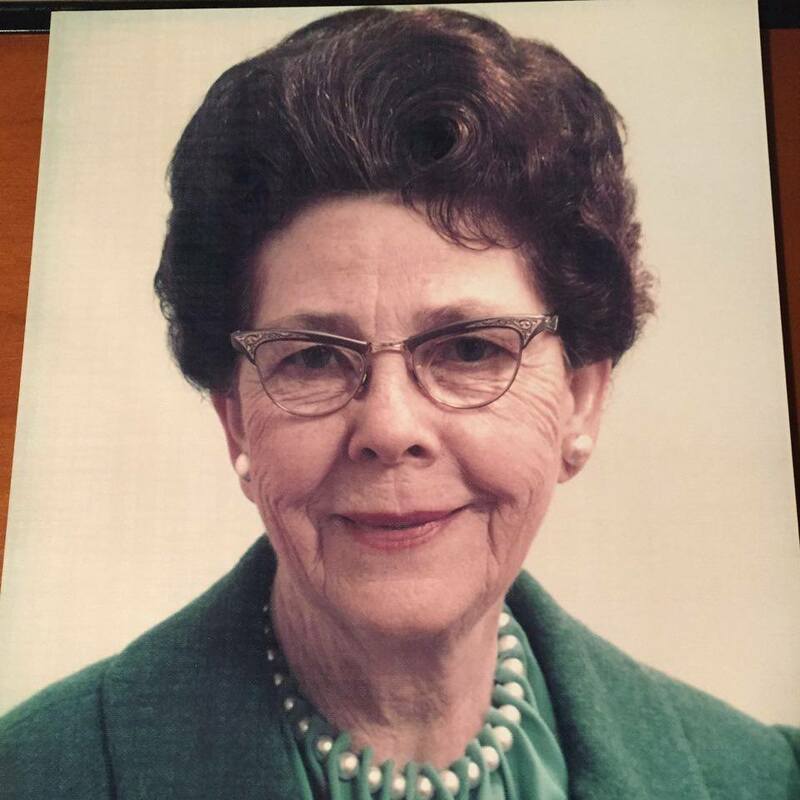 She also produced a yearly Fashion Show, designed and created all the clothing for the school's drama productions, and supervised the Red Cross Club. 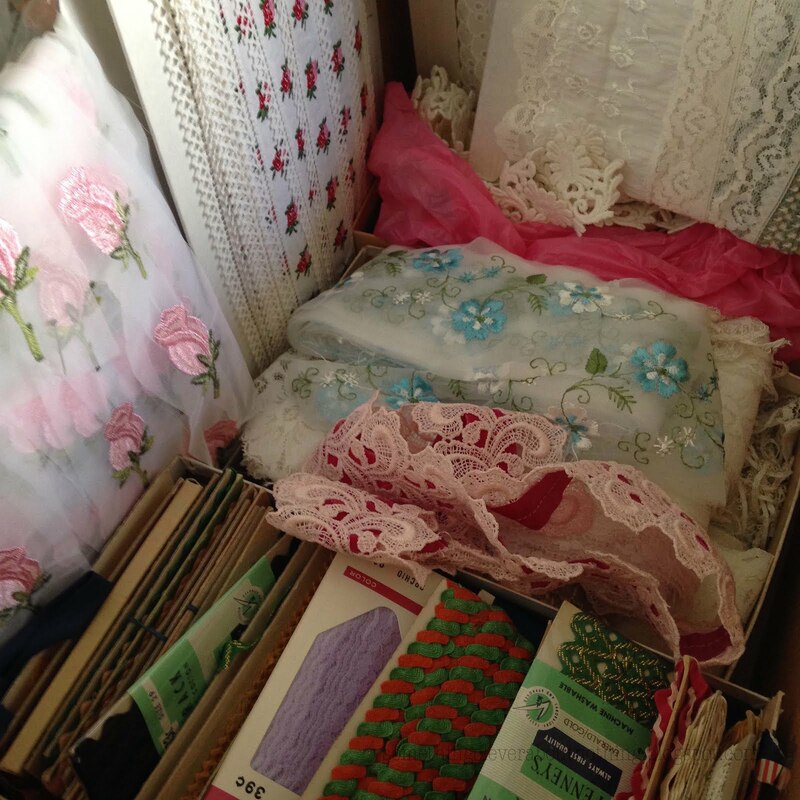 I was honored when Carolyn, Mrs. Smith's daughter, recently invited me over to look at a few of the sewing treasures her Mother left behind when she passed away in 1988. 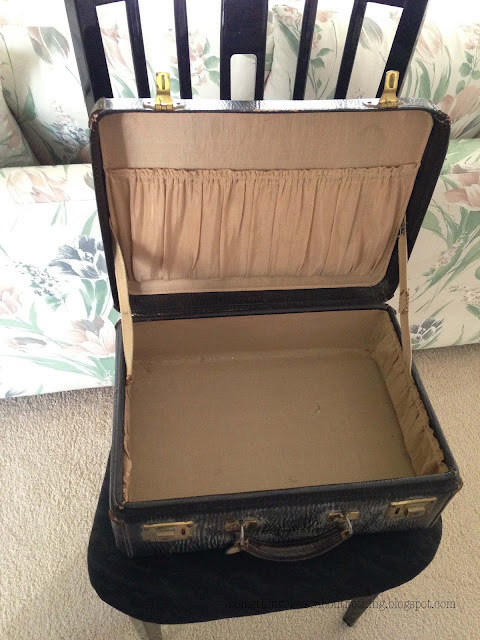 Carolyn had saved her Mother's treasures thinking one day, when she retired, she would pick up sewing too. 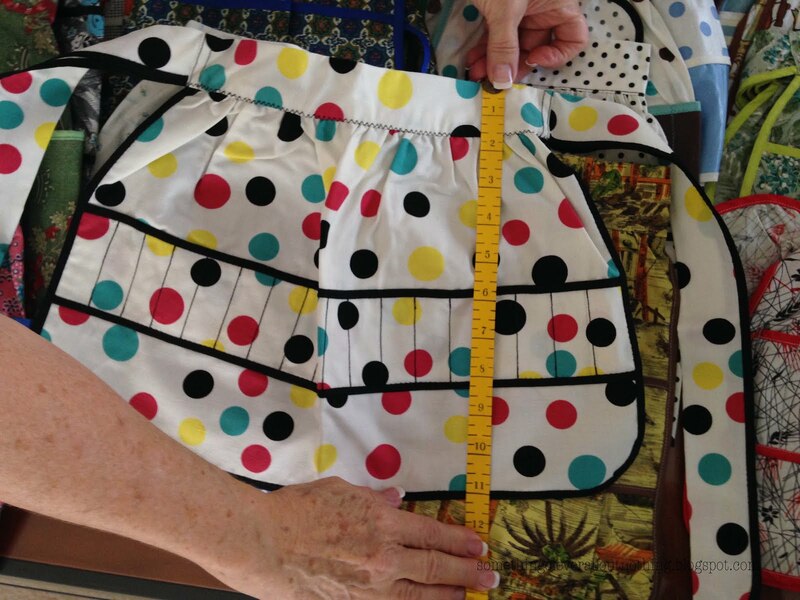 It has taken many years for Carolyn to realize sewing was not a part of her path. Carolyn, now retired, helped many people find their own way in life as the Vice President for Academic Affairs at LDS Business College, and now feels compelled to do family history research, and thus it is time to let go of some of her Mother's sewing supplies. 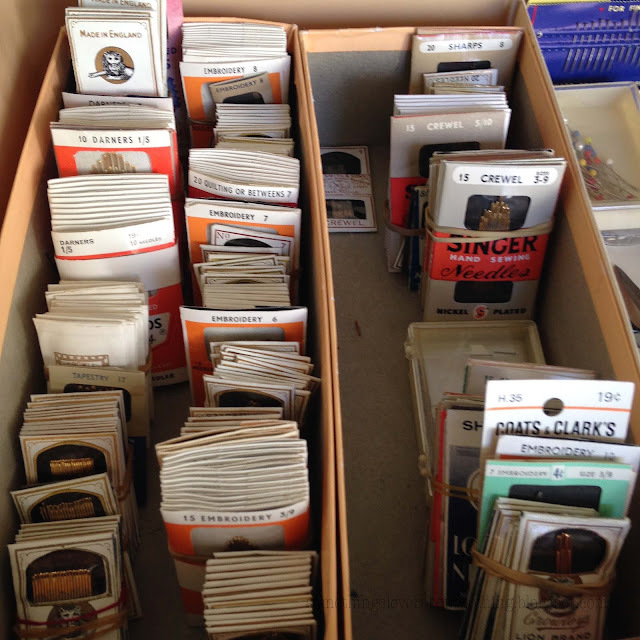 She contacted me when she heard we were in need of buttons and zippers to use in a service project at church. 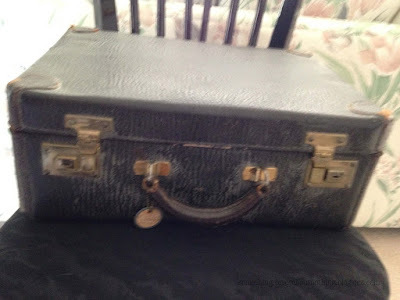 Carolyn had laid out many of her Mother's things for me to look over, and agreed to allow me to share them with all the readers on my blog. I hope you enjoy them as much as I have. 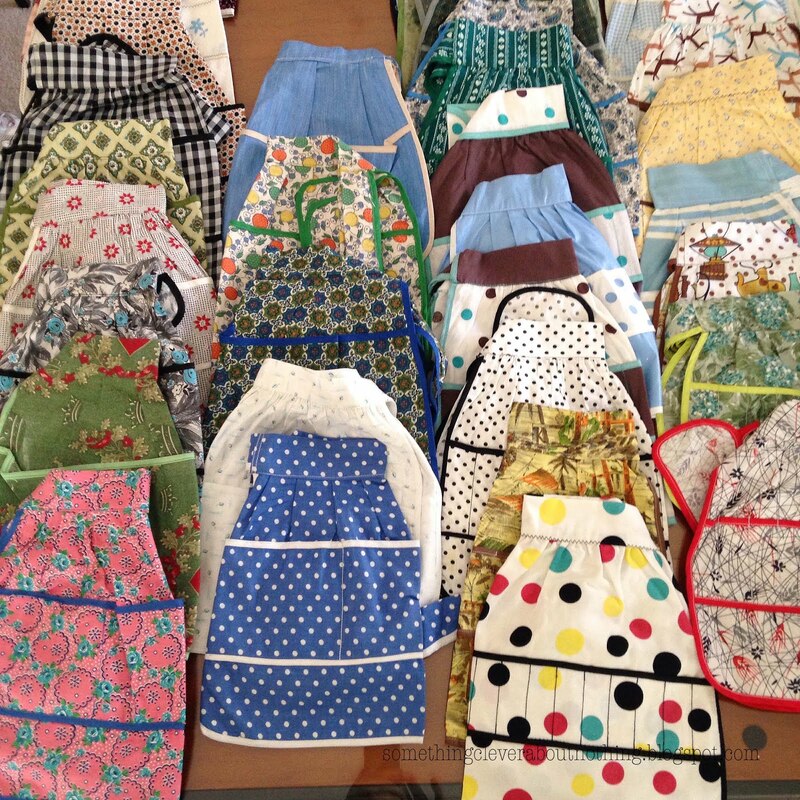 These lovely children's aprons, each about 11" tall, were made by Mrs. Smith's students. The aprons to the left have larger pockets for use with cooking, and the aprons on the right have tiny pockets, each big enough for a crayon. She kept it in beautiful condition. 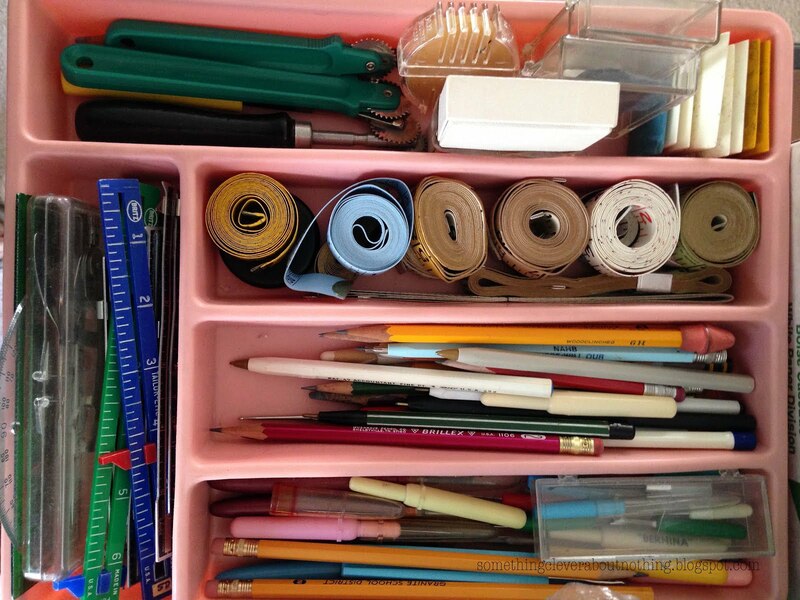 Carolyn has carefully organized all of her Mother's items. The tools of the trade haven't changed a lot in the last 30 to 50 years. Although Carolyn has given away many items, she still has a lot left, and is still decided where they will eventually end up. These beautiful laces and trims really spoke to me. I petted all of them. I'm sure one would have felt left out if I hadn't admired them all! 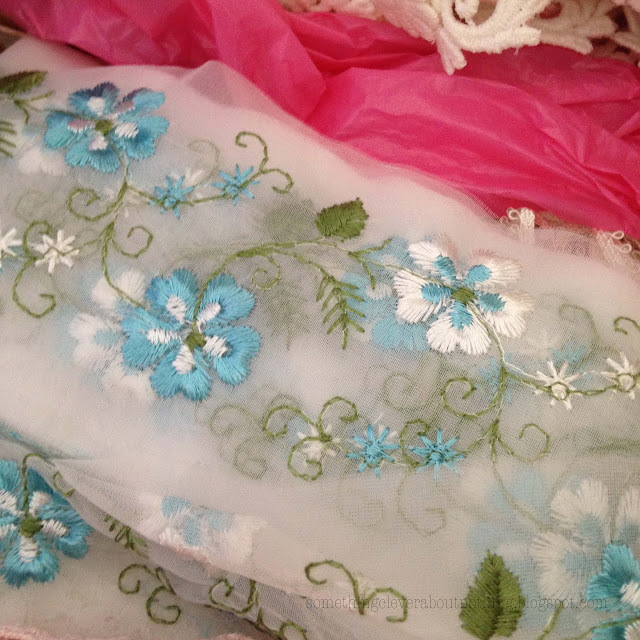 I wondered what Olive was thinking of making when she bought each lace and ribbon. 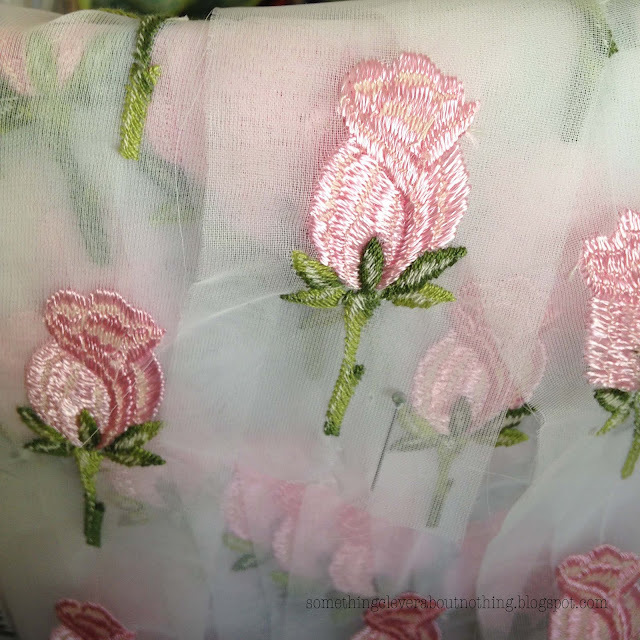 I have a lot more photos of things she created, as well as vintage patterns and buttons. Tomorrow I will show you some of her Button collection. I went to Granite High but never took a sewing class there. Now I wish that I had! Lovely story. Thanks for sharing this story about this woman and her love of sewing. I, too, was drawn to the laces. OMG! They are beautiful.